← Cake anyone?? – It’s ok, it’s my birthday!!! 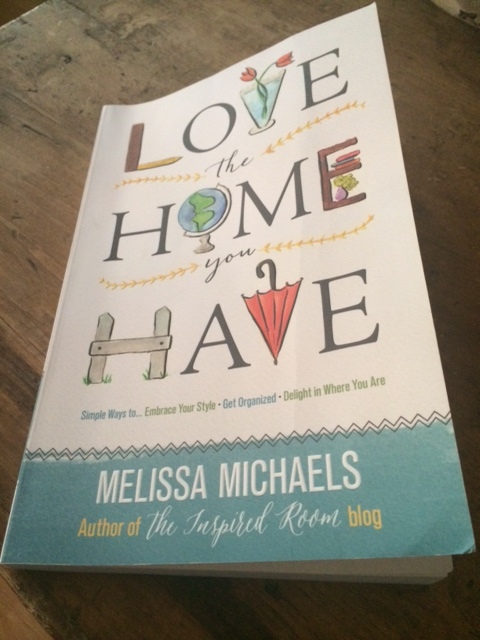 I’m excited to let you know about a new book I received called “Love the Home You Have” from the author of the Inspired Room Blog – Melissa Michaels. I was fortunate enough to be one of bloggers chosen to receive a free book in exchange for promoting the book to friends and family, in whatever way I chose. So far I have shared the promotion of the book with my FaceBook friends, my family and now here on this blog. There is a section in the book that it titled “31-Day Love Your Home Challenge” and my friend and fellow blogger Amelia P over at You Can Always Start Now (make sure you go to her blog and check out her post) decided we wanted to do some of these challenges because we believe in the concepts in the book and we do indeed Love the Homes we have. The first challenge we chose was Reclaim The Dining Room. I don’t actually have a dining room so I reclaimed my kitchen table. 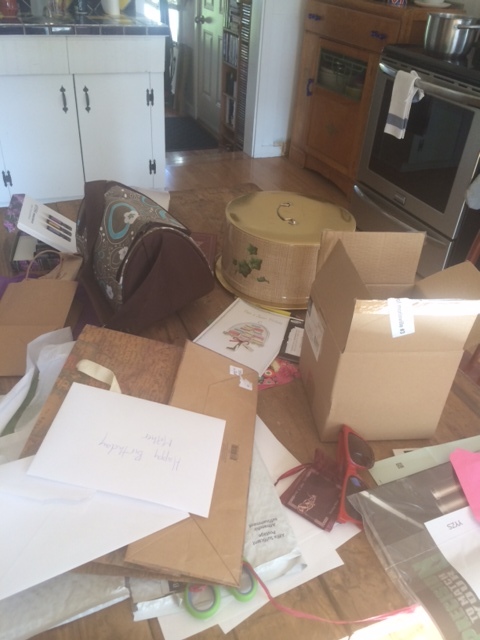 The door we use daily opens directly into the kitchen and our poor old kitchen table always seems to be the dumping ground for everything we bring home. I’m almost ashamed to show this picture but it’s reality!!! 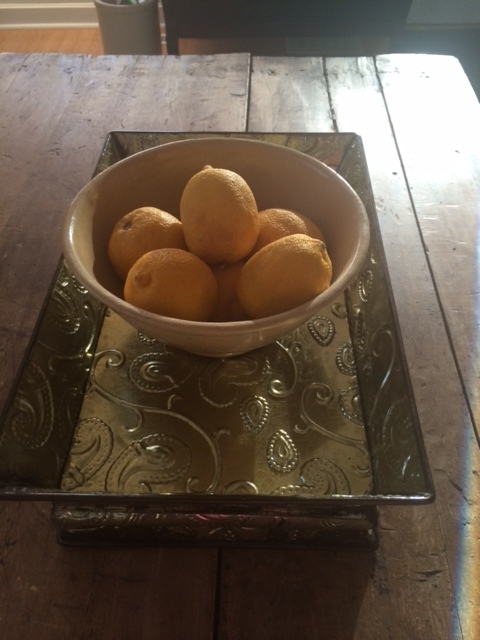 In the book Melissa suggests clearing the table of all the clutter and putting together a fun centrepiece using items you find around the house, and of course, you could change it up for each season (oh the possibilities are endless :)). Here are a few of the ideas I came up with. 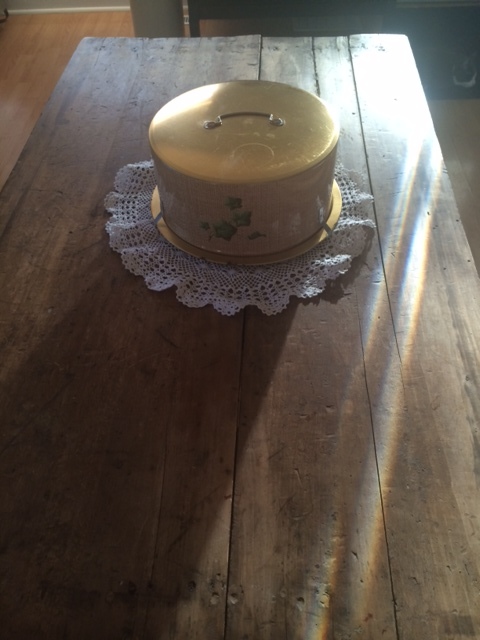 While I can’t promise it will be like this everyday, I have committed to having it clutter free and adorned with a centrepiece at least one day on the weekend. 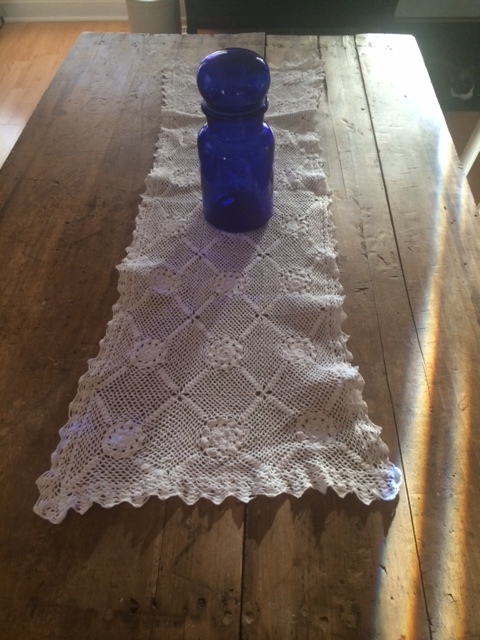 My Friend and fellow blogger Amelia P’s centrepiece is the last picture on the page, I love her centrepiece and her dining room (I’m just a tad jealous…). It is very easy for me to promote this book because all the ideas, concepts, challenges and wisdom shared are indeed A Wandaful Thing!!! To get your own copy of this book check out this link @ Amazon. 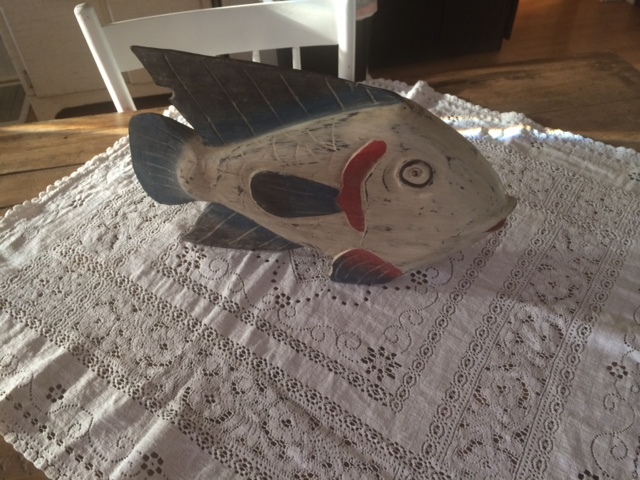 This entry was posted in Decorate and tagged Amelia, blogger, centrepiece, Decorate, dining, dining room, dining table, friend, love the home you have, table. Bookmark the permalink. YAY! Thanks for sharing and I’m so excited that you did one of the challenges!! Enjoy! It looks great! 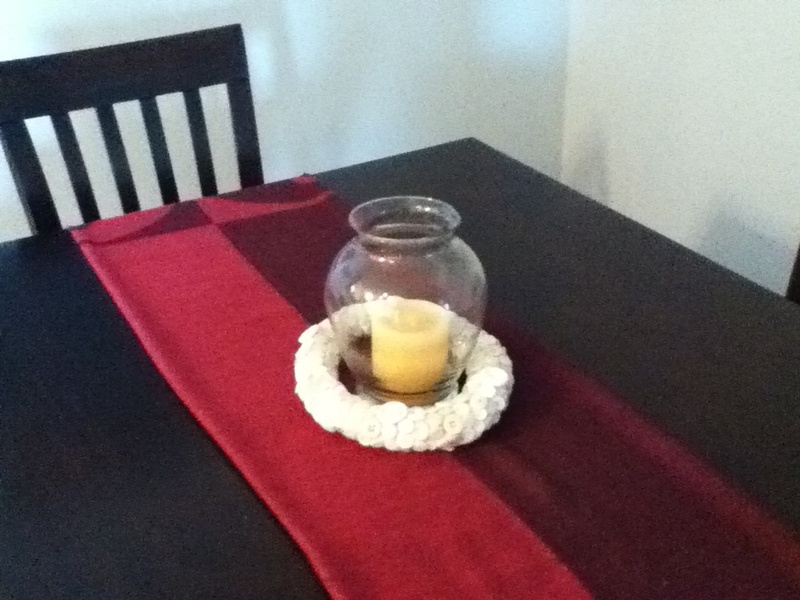 All the centerpieces look great! 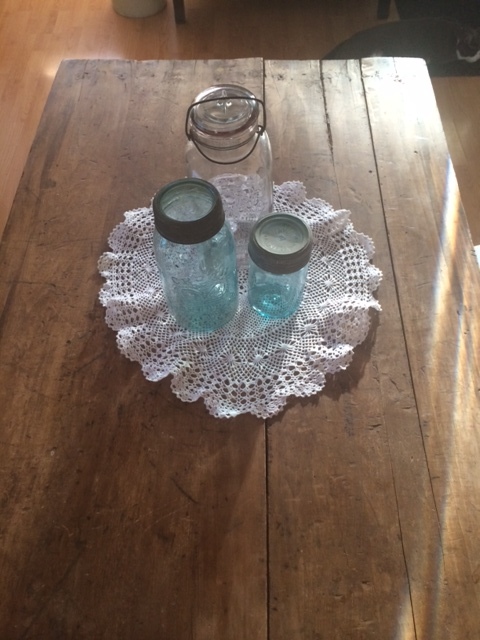 Love the mason jars and the light. It was a fun challenge to do and looking forward to tackling more!